spring onions Archives - Adelaide Central Market: The City of Adelaide's premier food destination. Over 70 traders under one roof. Tear off 4 pieces of baking paper, each roughly 30cm long and quickly rinse under water, shaking off excess. 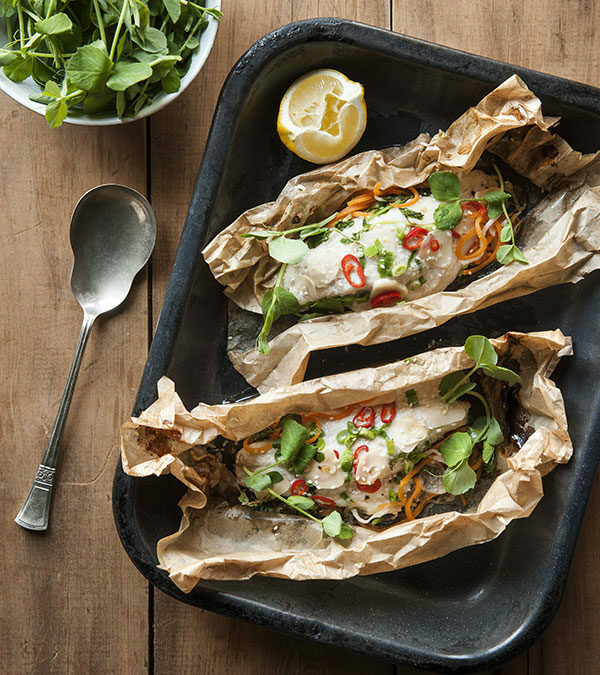 Evenly divide spiralised carrot, daikon radish and snow pea shoots between the four sheets of baking paper, placing in the centre of each. Place a fish fillet on top of each pile of vegetables and season with black pepper. Evenly divide the garlic, ginger, chilli, spring onions and sesame seeds into four and scatter over the top of each fish fillet. In a small jug, combine soy, mirin and sesame oil, stirring to combine. Drizzle 1⁄4 of the soy mixture over each piece of fish. Scrunch the edges of the baking paper together around the fish (like a dumpling) to form a sealed parcel. 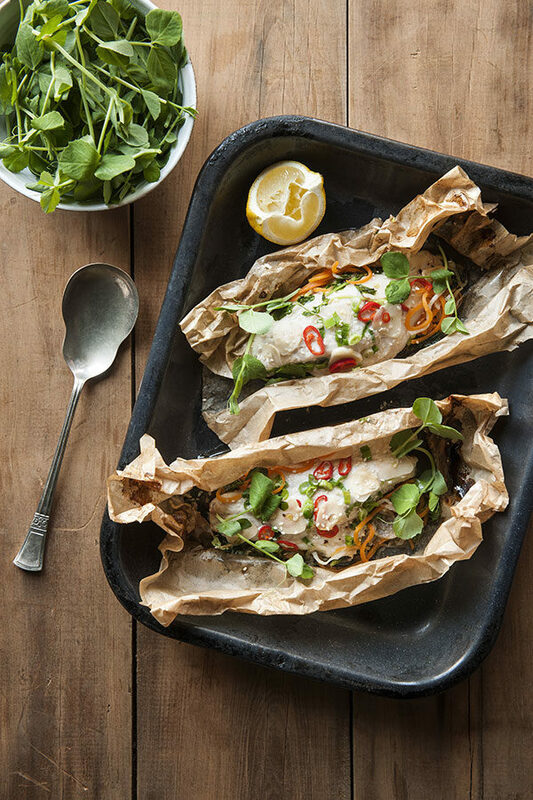 Place parcels on a baking tray and cook in preheated oven for 12-14 minutes or until fish is just cooked through and flakes away with a fork. Serve fish en papilliote with brown rice.